TORONTO – The Canadian Charter of Rights and Freedoms states that everyone has the right to be judged in a process that adheres to the rules of natural justice, which require a hearing, unbiased adjudication and a fair procedure. Equal treatment and fair process are principles of fundamental justice. These principles of fundamental justice are indispensable safeguards when the “rights, privileges or interests” of a person are at stake. They are not abstract concepts; rather, they can and do have a huge impact on the lives of the people involved. As do the way in which proceedings are conducted. An applicant has the right to a fair and impartial hearing and to a competent, fair and impartial decision maker. But, in refugee determination hearings a person seeking status in Canada may in fact have their fundamental rights interpreted by “unqualified persons”. Applicants all too often face a breach of those rights, as a result. Such potential breaches are increased exponentially when a person makes an application on Humanitarian and Compassionate grounds. The applicant is approved or denied without ever receiving a hearing. How can officials assess the level of integration and the best interest of the minors involved in the request; if there has been no contact with them; if the officials have not had the opportunity to see them, hear them, and, without having given them the opportunity to respond to the decision makers doubts? Denying the possibility of a hearing is not only the denial of a fundamental right, but also a violation of human rights. A decision on a Humanitarian and Compassionate application will have a huge impact on the lives of the people involved. Very often, the applicants are fleeing from situations of abuse and violence. In the case of the Demitri family, it is people fleeing organized crime. A return to their home country would mean a death sentence or a life in hiding from the mafia with their children in tow, moving from place to place to escape the mafia’s revenge. Yet, the Supreme Court of Canada has stated that Section 7 of the Charter of Rights prohibits substantive and procedural injustice in proceedings that can lead to deprivation of a person’s life, freedom or security (Hogg, 1997: sec. 44.10 (a)). The Demitri’s Humanitarian and Compassionate Application was also rejected without the family receiving a hearing. Unfortunately, it seems that the Minister of Immigration, Ahmed Hussen, has set aside the principles of fundamental justice – at least in their case. 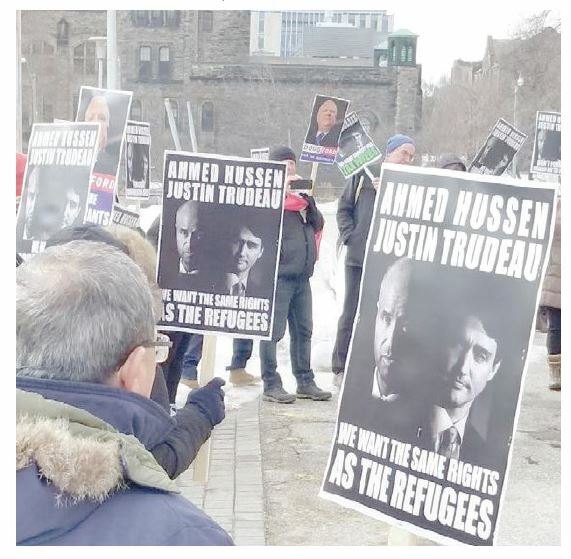 It appears that Canadians may have erred in trusting that a former refugee like him would have worked to restore those fundamental principles which used define Canada and for which Canadians had been justifiably proud. All that remains is to hope for a more humane and compassionate successor.